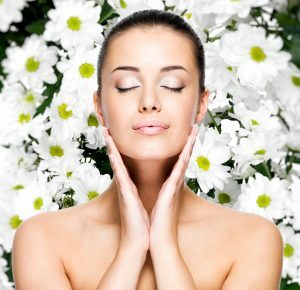 Rejuvenate your skin with the powerful effects of the Vampire Facial! 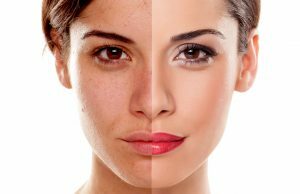 Although time is a predator none of us can outrun, we can slow down the effects of aging with a natural skin healing procedure called the Vampire Facial. When your skin looks tired or dull, we can rejuvenate your appearance by using your own blood to isolate platelets and other growth factors to inject back into your skin. We use a micro-needling device to make tiny punctures into the surface of your skin that injects this mixture called platelet-rich plasma (also known as PRP). PRP stimulates collagen production which promotes tissue recovery, smooths your skin, and removes fine lines and wrinkles. Because the platelet-rich plasma is extracted from your own body, there is no risk of side effects thus making the procedure safe and natural. The added benefit of a natural procedure is it can be repeated multiple times if desired. The entire process takes about 45-60 minutes, and it is used for anti-aging and scar reduction. In addition, we use HA fillers to lift and sculpt specific areas to create a more beautiful shape. People generally begin to see and feel the effects of the PRP facial within about 48 hours, and the plasma actually continues filling out the skin for the next two months. The results can last a year, or even longer in some cases. There are many benefits to the vampire facial, both cosmetically and financially. For your face, this procedure is great because not only are you getting the benefits of a smoother and brighter face, but you are getting injected with only natural resources. Other types of filler procedures use artificial materials. Also, the vampire facial is a lot less expensive than other, similar types of skin tightening procedures. As for safety, since you are only having natural things injected into your face, the vampire facial is typically safe. There are no known side effects, and your body easily accommodates the filler because it’s made from your own blood. Dr. Rubio is trained, certified and licensed to administer this revolutionary skin rejuvenating treatment that uses your own blood platelets to activate growth factors that softens lines and wrinkles. Schedule your Free Consultation today to create a customized treatment plan for you!